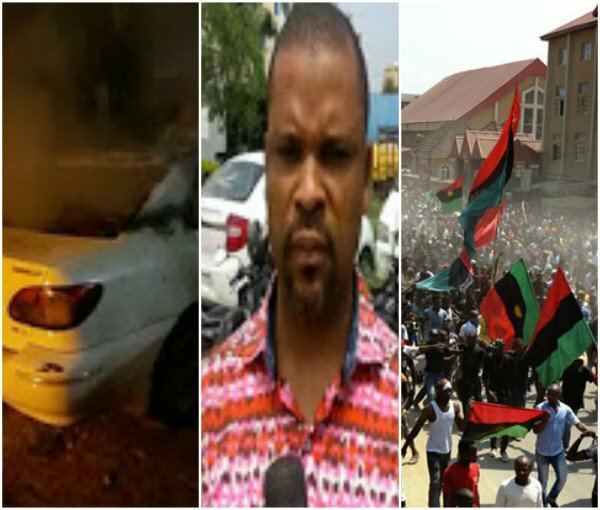 There was trouble in Bengaluru, India on Sunday night as some Nigerians took the Biafra battle to the streets of India. One person was reportedly killed while the city police are now looking for the concerned persons so as to deport them, a source told Times of India. According to the report, there had been earlier attacks and counter-attacks but in the altercation that ensued on Sunday, a group of students said to be Nigerians in Hennur allegedly attacked the residence of one Elvis Ohachosim, 39, a fellow national, and set his car on fire. The pre-dawn attack was in retaliation to Elvis attacking two Nigerian friends the previous evening. Police said Sunday’s arson is the latest skirmish between two groups of Nigerians since September 3, when N Chigozie, a resident of Hennur, and a Nigerian national himself, allegedly died in suspicious circumstances, after clashes between the gangs at an African restaurant in Kothanur. “We have filed four cases against these two groups in just 20 days,” a police officer said. According to Elvis’ complaint, a gang of 12 people knocked on the door of his Vaddarapalya residence around 3am. Elvis said he did not open the door and the gangsters set afire his car parked by the roadside and threatened him with dire consequences before leaving. Hennur police reportedly filed a case against 12 Nigerians in the FIR. Police said the car was gutted partially, as the fire was put out with help from some locals. Earlier, Chigozie was reportedly found dead near Geddalahalli railway track on September 3. According to TOI, Kothanur police initially treated it as a road accident, but later filed a case of murder. They are now awaiting the FSL report before proceeding with investigations. Chigozie’s brother Nonso Odedike, meanwhile, filed a complaint accusing a group of Nigerians led by Aiwa of attacking him and his brother at African Kitchen in Kothanur on the night of September 2. Six people were arrested as a result, but all of them were later released on bail. “There are two gangs of Nigerians who are clashing over political reasons. We will submit a report about them to the FRRO,” S Girish, DCP (Northeast division) said. Police said the accused in all the cases are Nigerian nationals and have come to India either on business or student visas. Nonso’s supporters have been identified as Elvis Ohachosim, Emmanuel, Grant, Pastor Jeremiah, among others.